The McDonnell Douglas KC-10 Extender is an air-to-air tanker aircraft in service with the United States Air Force derived from the civilian DC-10-30 airliner. 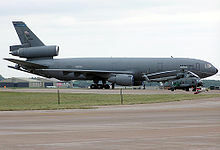 The KC-10 was the second consecutive McDonnell Douglas transport aircraft to be selected by the US Air Force following the C-9 Nightingale. The similar KDC-10 is in service with the Royal Netherlands Air Force. Beginning with the Vietnam War doubts began to be raised about the ability of the 700+ KC-135 fleet to meet the needs of the United States' global commitments. The aerial refueling fleet was deployed to Southeast Asia in support of tactical aircraft and strategic bombers, while maintaining the US-based support of the nuclear bomber fleet. The United States Air Force as a result sought an air-to-air tanker with a greater capability than the KC-135. In 1972 two DC-10s were flown in trials at Edwards Air Force Base, simulating air refuelings to check for possible wake issues. Boeing performed similar tests with a 747. The 1973 Yom Kippur War and the US Operation Nickel Grass demonstrated the necessity of adequate air-refueling capabilities. Denied landing rights in Europe, USAF C-5 Galaxies were forced to carry a fraction of their maximum payload on direct flights from the continental United States to Israel. As a result C-5 crews were soon trained in aerial refueling and the U.S. Department of Defense concluded that a more advanced tanker was needed. In 1975, under the Advance Tanker Cargo Aircraft program, four aircraft were evaluated: the C-5 itself, the Boeing 747, the McDonnell Douglas DC-10, and the Lockheed L-1011. The U.S Air Force selected McDonnell Douglas's DC-10 over Boeing's 747 in December 1977. The design for the KC-10 involved only modifications from the DC-10-30CF design. The major changes were the addition of a boom control station in the rear of the fuselage and extra fuel tanks below the main deck. The KC-10 has both a centerline refueling boom and a drogue/hose system on the right side of the rear fuselage. Other changes from the DC-10-30CF include the removal of most cargo doors and windows. Picture - A KC-10 from Travis AFB taking off from RAF Mildenhall. The KC-10 first flew on 12 July 1980. Early aircraft featured a paint scheme with light gray on the airplane's belly and white on the upper portion with blue around the cockpit. A gray-green camouflage scheme was used on later tankers. Aircraft have since been switched to a medium gray color. The KC-10 boom operator is located in the rear of the airplane with wide window for monitoring refueling. The operator controls refueling operations through a digital, fly-by wire system. The final 20 KC-10s produced included wing-mounted pods for added refueling locations. 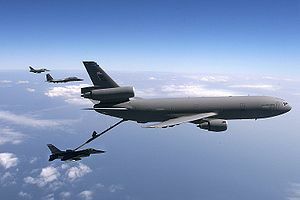 In addition to the USAF refueling boom, the KC-10's hose and drogue system allows refueling of U.S. Navy, Marine Corps, and most NATO allied aircraft. This gives the KC-10 the ability to refuel US and other NATO aircraft, all in one mission. A need for new transport aircraft for the Royal Netherlands Air Force was first identified in 1984. In 1991 four categories of transport requirements were established. Category A required a large cargo aircraft with a range of at least 4500 km and the capability to refuel F-16s. In 1992, 2 DC-10-30CFs were acquired from Martinair in a buy/leaseback contract. When one of the bought aircraft was lost in the Martinair Flight 495 crash, a third aircraft was bought from Martinair. The conversion was handled via the United States foreign military sales program, which in turn contracted McDonnell Douglas, the designer of both the DC-10 and the KC-10 tanker. Costs for the conversion were initially estimated at $89.5 million (FY 1994). The aircraft was to be equipped with both a boom and a probe and drogue system. However, because McDonnell Douglas did not have any experience with the requested Remote Aerial Refueling Operator (RARO) system, and because the third aircraft differed from the original two, the program could not be completed at budget. By omitting the probe and drogue system and a fixed partition wall between the cargo and passenger, the cost could be limited at $96 million. To make up for the cost increase McDonnell Douglas hired Dutch companies to do part of the work. The actual converting of the aircraft for instance was done by KLM. Conversion of the aircraft was done from October 1994 to September 1995 for the first aircraft and from February to December 1995 for the second. This was much longer than planned, mostly because McDonnell Douglas did not deliver the parts in time. This would have again increased the cost, but in the contract for the AH-64 Apaches which the Royal Netherlands Air Force also bought from McDonnell Douglas, the price was agreed to be kept at $96 million. In 2005 Fokker Services (NL) was awarded with a contract to update the avionics on the two KDC-10 and one DC-10 aircraft of the Royal Netherlands Air Force to a common standard. The aircraft will be updated with digital cockpits, Link 16 and satellite communications. 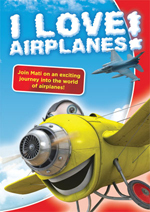 This design is now offered by Boeing to the US Air Force to update their KC-10s. Picture - A KC-10 Extender from Travis Air Force Base, CA, refuels a Lockheed Martin F-22 Raptor. The KC-10 was delivered to the USAF Strategic Air Command (SAC), then in control of air refueling assets from 1981 to 1987. 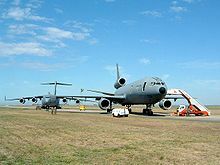 SAC had KC-10 Extenders in service from 1981 until 1992, when they were re-assigned to the newly established Air Mobility Command. 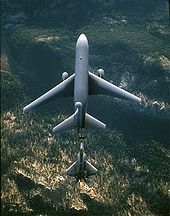 In the air-to-air refueling (AAR) role, the KC-10s have been operated largely in the strategic refueling of large number of tactical aircraft on ferry flights and the refueling of other strategic transport aircraft. Conversely, the KC-135 fleet has operated largely in the in-theater tactical role. There are 59 KC-10 Extenders in service with the United States Air Force (USAF) as of 2010. The KC-10 has a significantly larger fuel capacity than the Air Force's other main tanker, the KC-135. with over 440 in service in 2009. The USAF's KC-10s are stationed primarily at Travis AFB, California and McGuire AFB, New Jersey. When faced with refusals of basing and overflight rights from continental European countries during Operation El Dorado Canyon, the U.S. was forced to use the UK-based F-111s in the 1986 air-strikes against Libya. The KC-10s allowed 29 F-111s to reach their targets. The KC-10 fleet also facilitated the deployment of tactical, strategic, and transport aircraft to Saudi Arabia during Operation Desert Shield. In recent times, USAF KC-10s have seen use in supporting military operations in Iraq and Afghanistan through 2009. In addition to offering in-flight refueling capabilities, USAF KC-10s also undertake cargo and personnel transport operations. In an attempt to modernize the platform, the USAF has awarded Boeing a US$216 million contract to upgrade its fleet of 59 aircraft with new communication, navigation, surveillance and air traffic management (CNS/ATM) system. Boeing claims that this will allow the aircraft to fly in civil airspace after 2015 as new ICAO and FAA standards take effect. The two Dutch KDC-10s, T-264 "Prins Bernard" and T-235 "Jan Scheffer", are used for both refueling and transport. They are stationed on Eindhoven Airport as part of the 334th Transport Squadron. Of the 5500 hours flown in the first 3 years of use, the aircraft were used in their tanker role for 50% of the time. Besides being used by the air force and NATO allies, the KDC-10s are also used to support peacekeeping and humanitarian aid operations. Of the first three years, 32% of the flight hours were used for peacekeeping and humanitarian aid. Also, commercial refueling companies Omega Air and Global Air Tanker Service operates two KDC-10 tankers for lease (N852V and N974VV). They were converted from DC-10-40s and provide both boom and probe and drogue refueling capabilities. United States Air Force operated 59 KC-10 aircraft as of September 2009. Royal Netherlands Air Force operate 2 KDC-10s and 1 DC-10. On 17 September 1987 aircraft serial number 82-0190 was lost after an explosion and subsequent fire. The tanker was undergoing maintenance on the ground at Barksdale AFB, LA. One member of the ground crew, the crew chief, died in the fire. 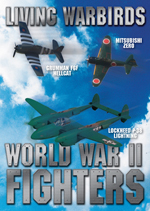 Frawley, Gerard: The International Directory of Military Aircraft, 2002-2003 Manly NSW, Australia: Aerospace Publications Pty Ltd, 2002. 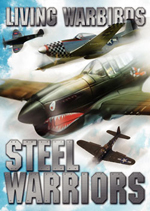 ISBN 1-875671-55-2. Steffen, Arthur, A. C. McDonnell Douglas DC-10 and KC-10 Extender Hinckley, Leicester, UK: Aerofax, 1998. 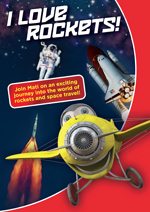 ISBN 1-85780-051-6. Waddington, Terry. McDonnell Douglas DC-10. Miami, FL: World Transport Press, 2000. ISBN 1-892437-04-X.